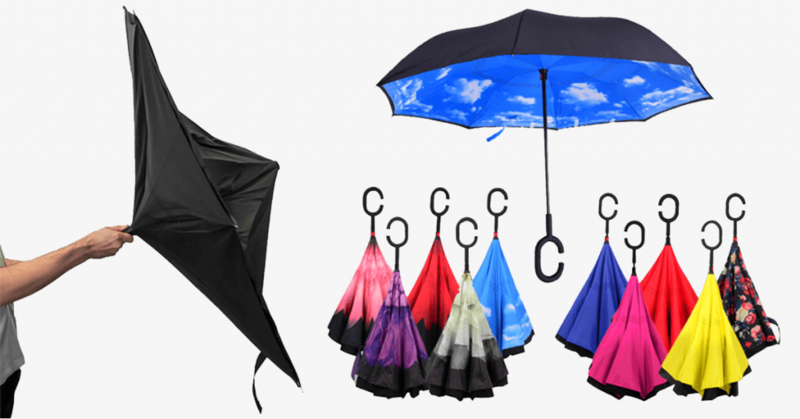 Customized printed reversible umbrellas are the new trend in the umbrella manufacturing industry. You might have read about the reversible umbrella manufacturers in India, but getting your brand logo or customized printed reversible umbrella is something that will boom the industry. Shubhamm Inc is one of the pioneer in customized printed umbrellas. After successfully starting the reversible umbrella manufacturing, we have added the customized printing option to the category. There are very few reversible umbrella manufacturers in India. No manufacturer used to provide customized printing as per brands color & logos. So we at Shubhamm Inc, decided to foray into the customized printing of reversible umbrellas. We allow the brand to give their desired brand guidelines including the color and the logo and customize the reversible umbrella accordingly. When closed, the wet side of umbrella becomes inside with the dry side exposed, so there are never wet clothes, car, floor, bag etc. It never drags the water into your car or across your lap. Reversible Umbrellas are extremely convenient for getting in and out of a car and staying perfectly dry.